And I'm back for another Holiday Makeup Look! 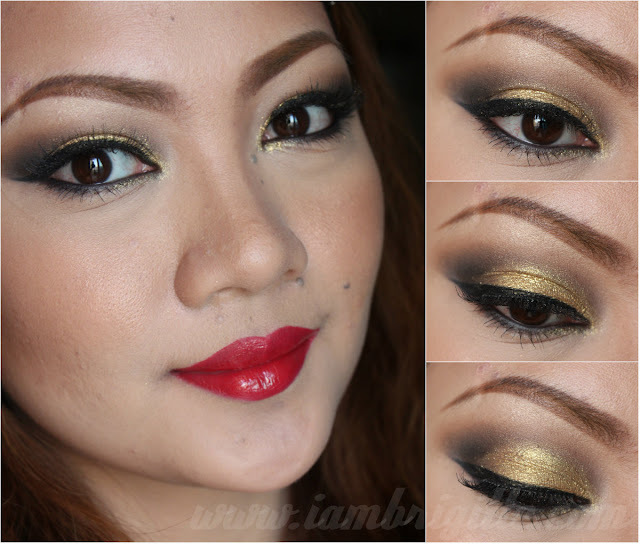 I know this isn't the first time you'd see a smokey gold makeup look from me but hey, I've used gold glitters this time…it does make it different, right!? Right!? Please say right. I beg you. 3. 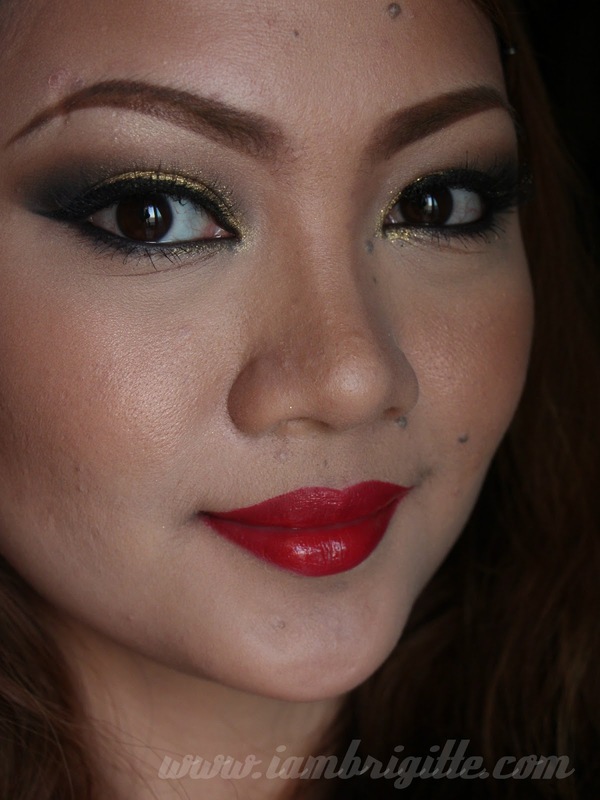 Using a fluffy blending brush (MAC 224), I applied MAC eyeshadow in Bamboo (matte medium brown) on my crease starting from the outer corner of my eye. 4. 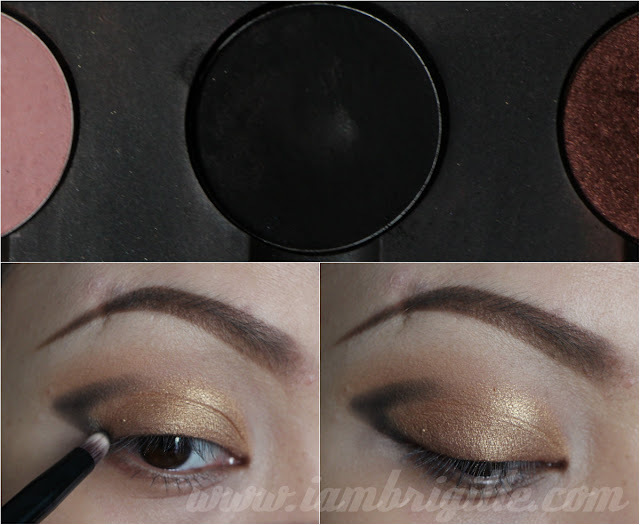 Using a flat eye eyeshadow brush (MAC 239), apply MAC eyeshadow in Amber Lights (coppery gold) on the lid. 5. 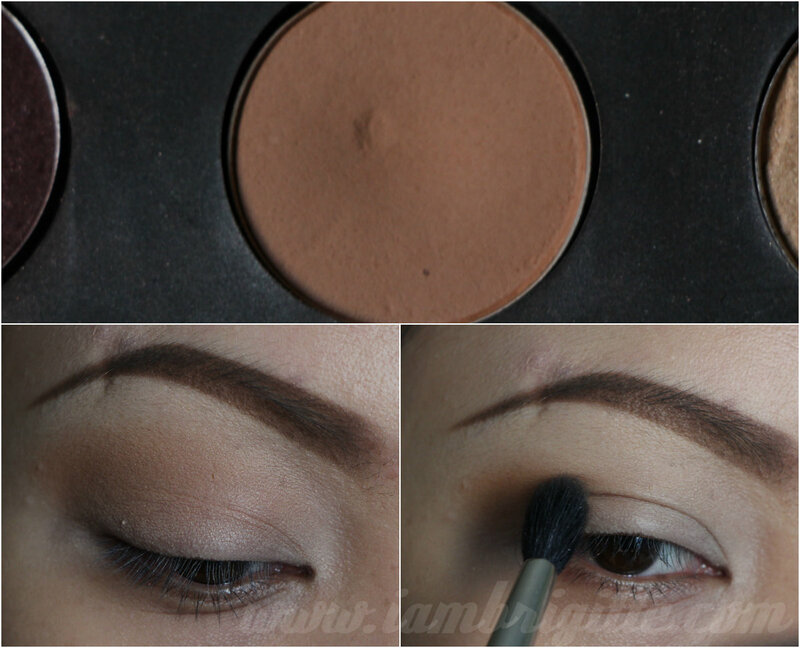 Using a pointed eyeshadow brush (Charm pencil brush), trace the outer-V of your eye with MAC eyeshadow in Carbon (matte black). 6. 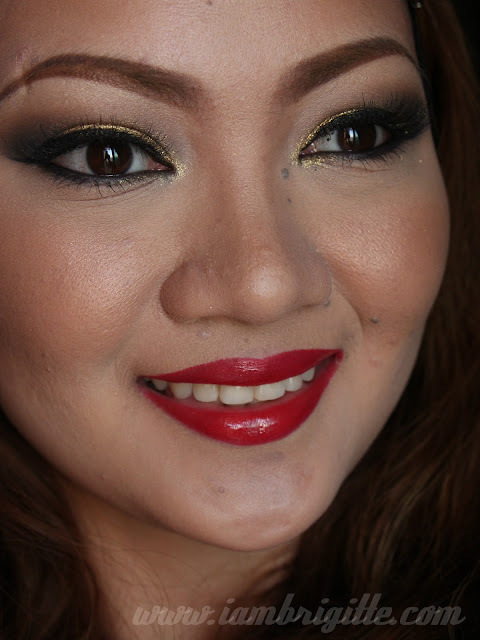 Using a smaller fluffy blending brush (MAC 222) blend the black eyeshadow to get rid of the harsh lines. 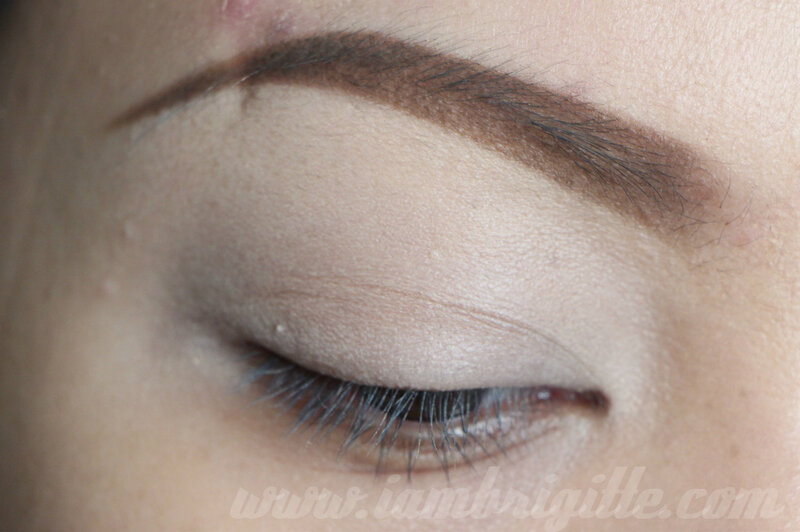 Bring some of the colour onto the inner crease too. 7. 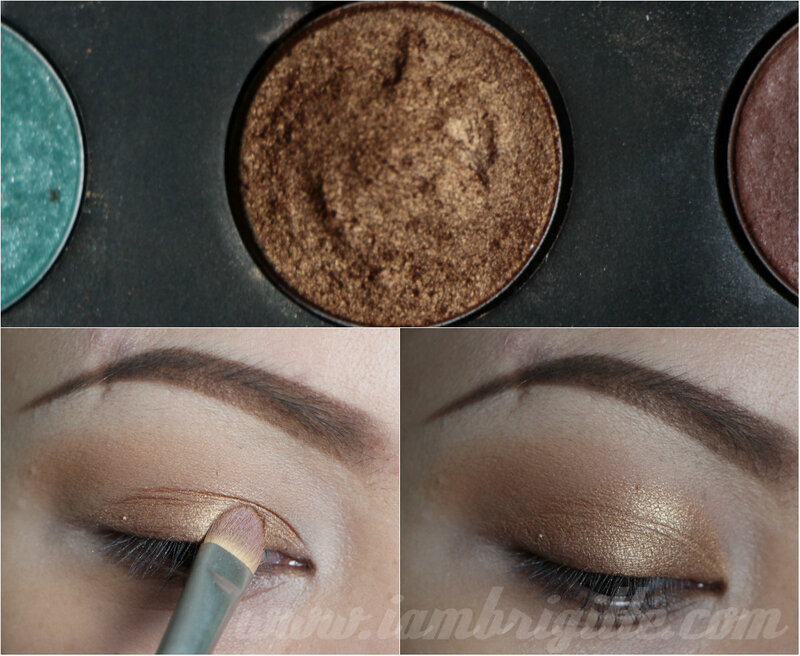 Using a flat synthetic eyeshadow brush, apply gold glitter eyeshadow on the area where you applied the MAC Amber Lights. 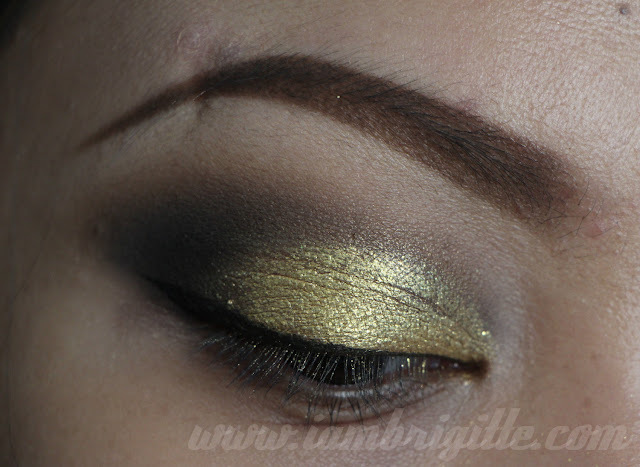 I used Barry M. fine glitter dust in Gold. 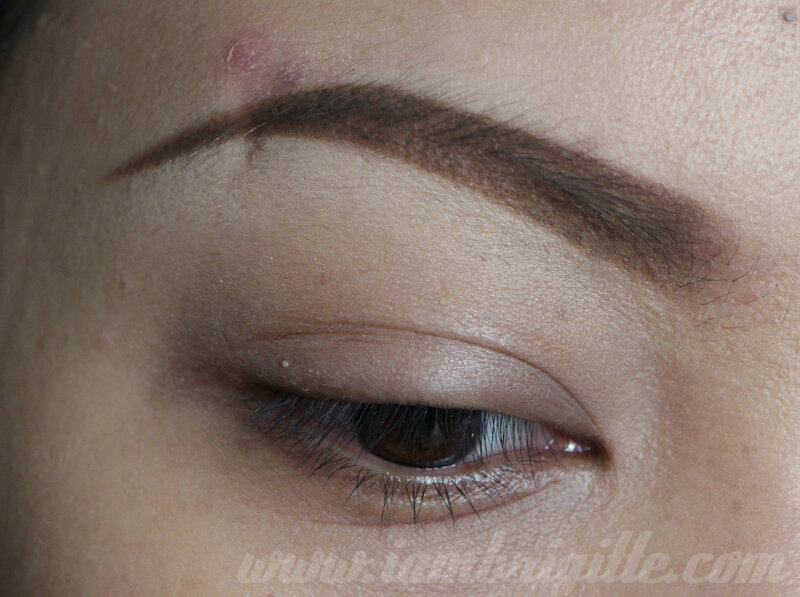 To make it stick on to my lid, I applied a bit of petroleum jelly as base. I don't really recommend it though as it'll make your eyeshadow crease but I didn't have a choice. Now I have a reason to buy myself that Too Faced Glitter Gel soon! 8. 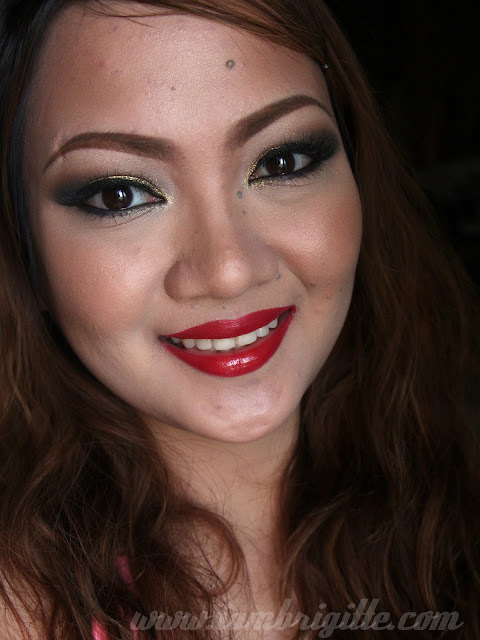 Before applying my falsies, I like to apply my eyeliner thinly at first. 9. 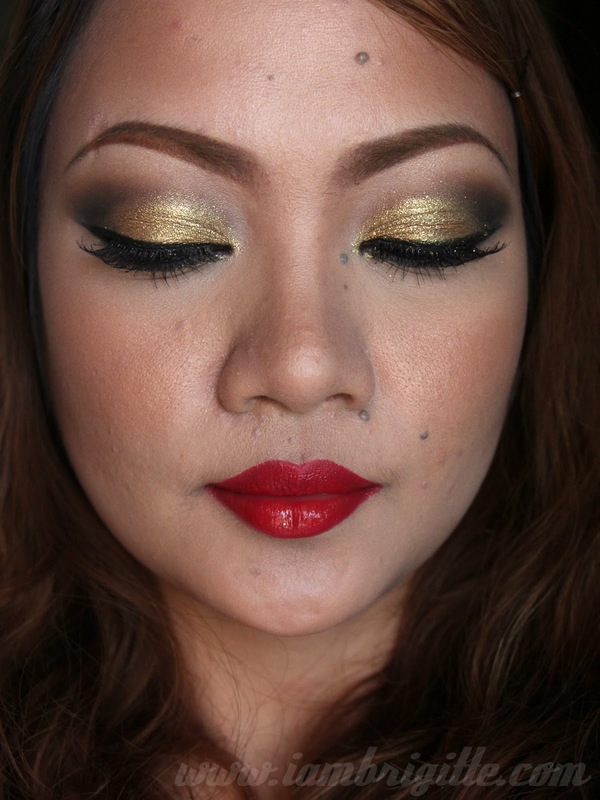 While waiting for the lash glue to become tacky, curl your lashes then using a tweezer, apply your falsies. I also use a mascara to bind my natural lashes with the falsies. 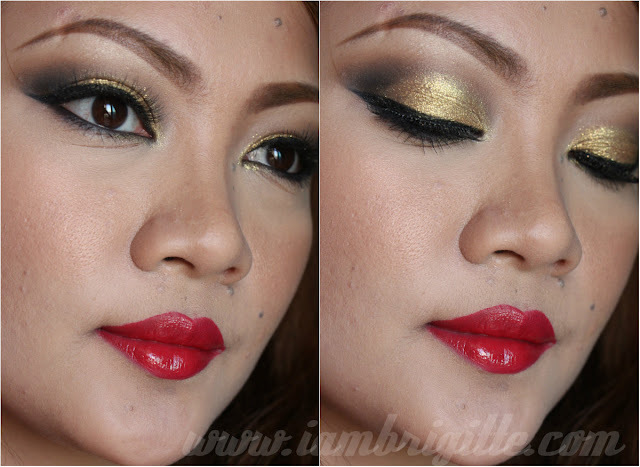 After the eye makeup, I then proceeded with the rest of my makeup. thanks so much! :) Jemimah, Juvy and aestheticallysavvy !